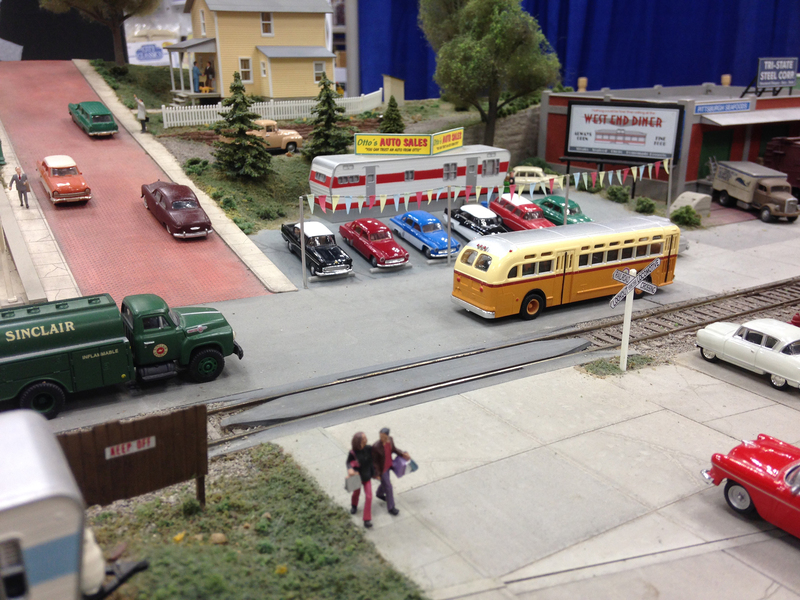 Many suppliers of Model Railroad materials build display layouts to show how their products will look/work on a layout. 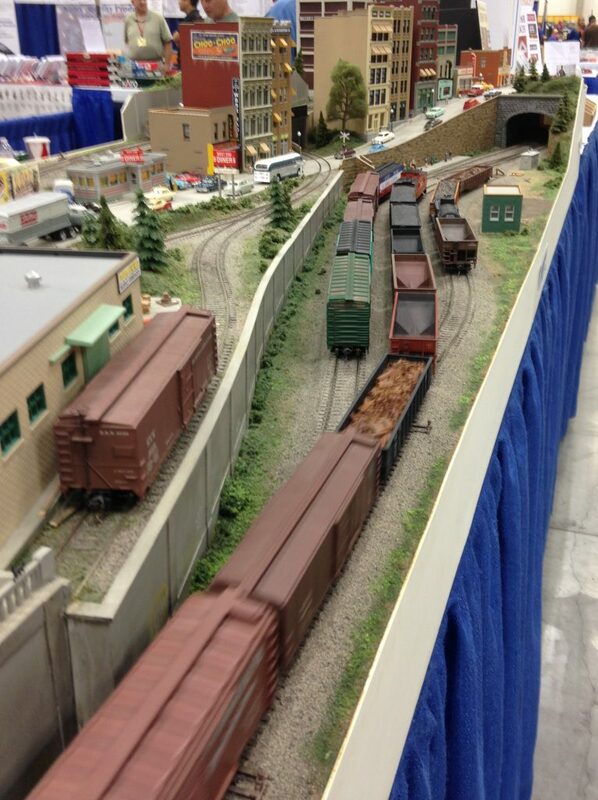 Many times these layouts are not much more than a static display. If they run, they do not have much scenery or are no more than a loop to allow equipment to roll by. 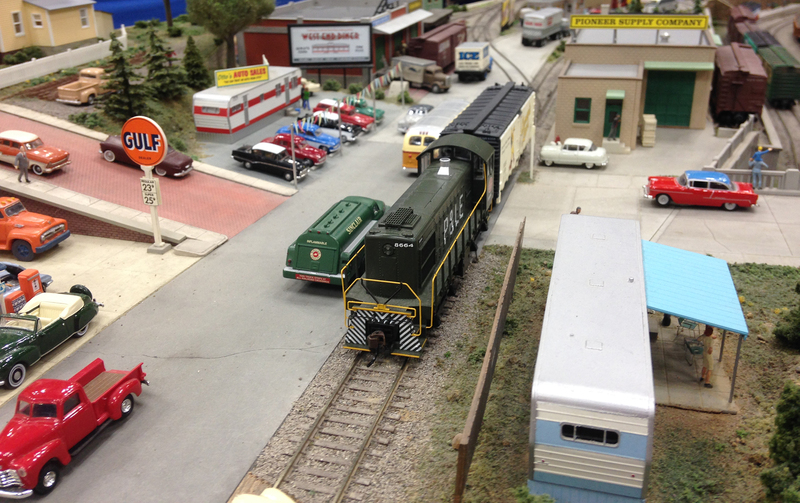 Jim Sacco of City Classics has produced a small portable layout that not only shows off his products but actually has operating ability. The layout is very detailed, well thought out and has all the amenities that would make any modeler proud. 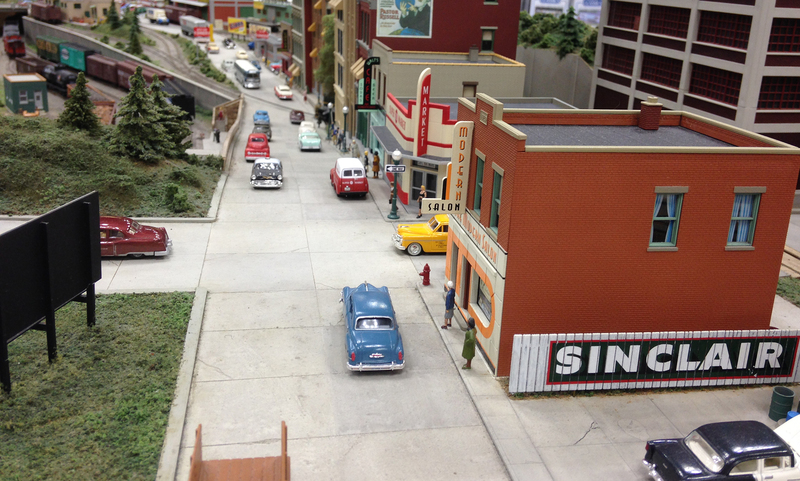 The layout is HO scale and is only 10ft x 3ft. The heart of the layout is a Gum-Stump and Snowshoe Layout design with a loop (hidden by a backdrop) to connect the ends and provide continuous running for shows. Jim did not know about the Gump-Stump and Snowshoe design when he created the layout but soon heard about it from fascinated onlookers who immediately saw the design similarity. The layout comes apart in two sections so it may be transported easily. 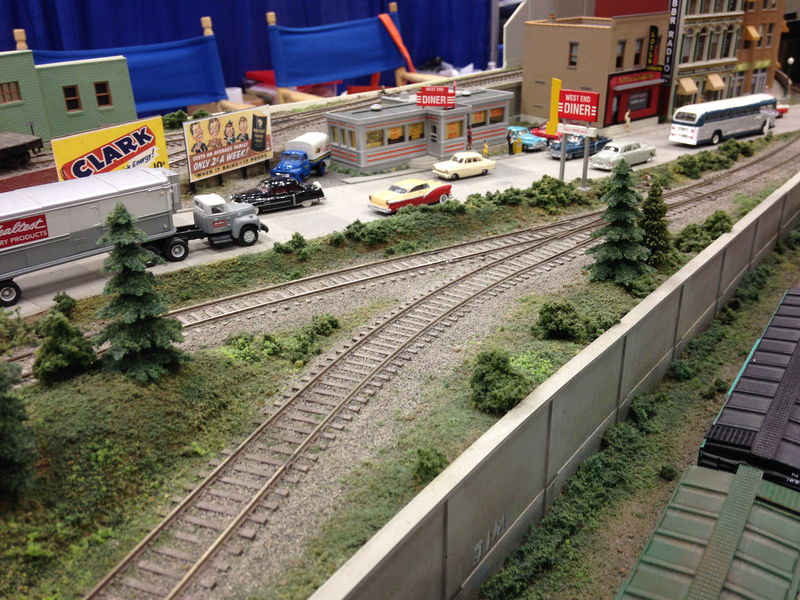 The full layout as seen at the NMRA National Train Show. Jim and the layout have been traveling together for many years and we hope for many more. 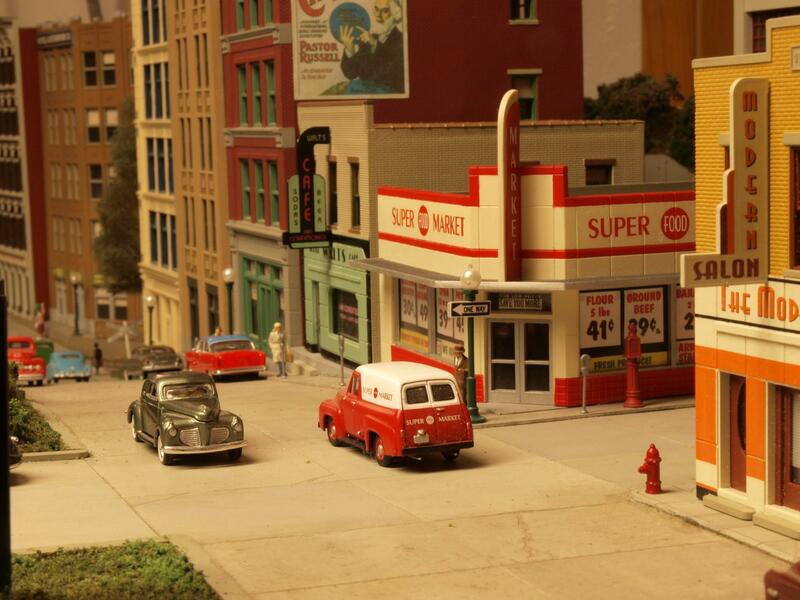 By the way, Jim’s products are all the buildings on the layout. The City Classic series is a very nice series of urban buildings including several that are up to five stories tall. They are also some of the most economical that I have come across. I personally have seen this layout at least three times but I still have to stop and marvel at the quality of the layout whenever I see it. 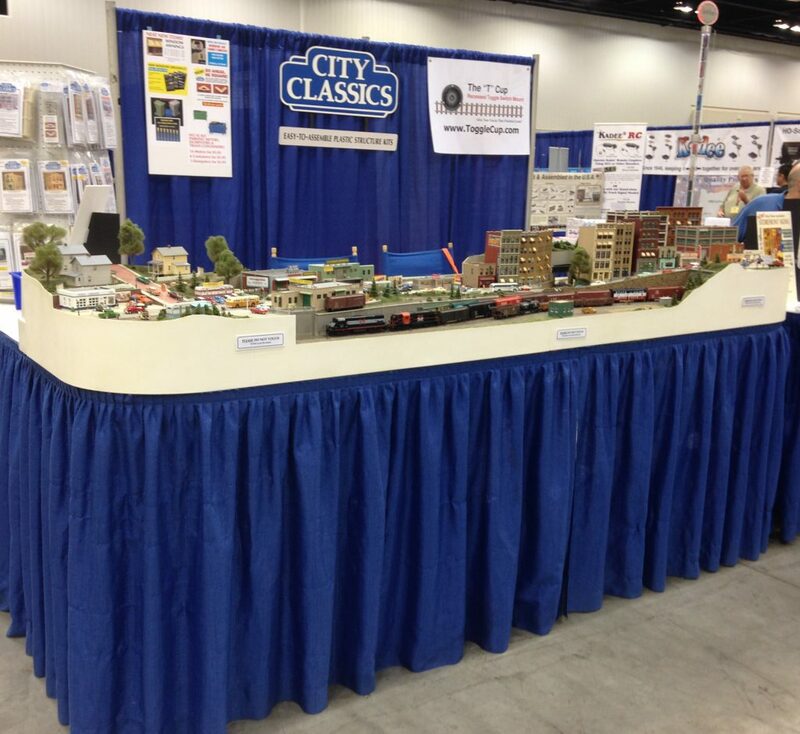 The City Classics Show Layout has been featured on Carl Arendt’s Small Layout Scrapbook. Carl was so impressed by the layout, he made a video which can still be seen on YouTube. 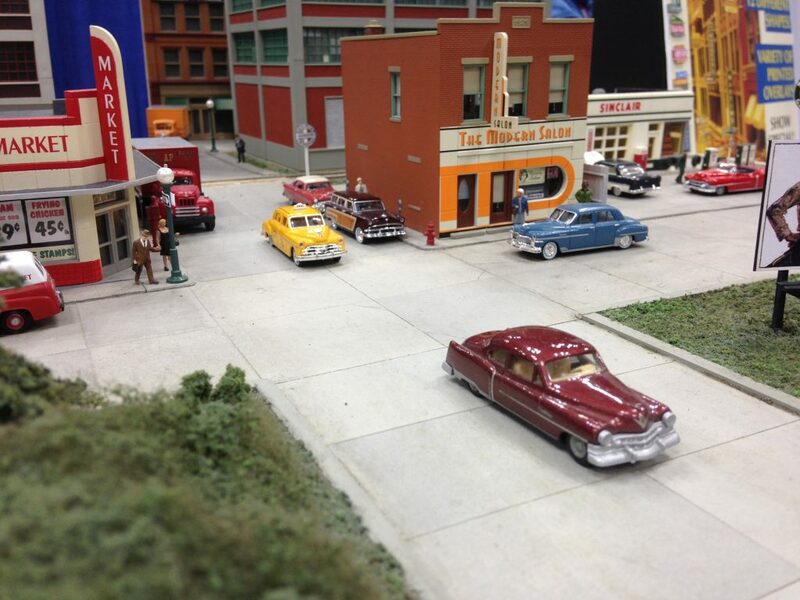 More information about Jim’s layout can be found on his website at http://www.cityclassics.biz/news/roadshow_layout.html. all very nice, however, where’s the multi-story, tri-angle building?